I made this for dinner last night and it only took about 20 minutes. I thought it was such a tasty, healthy, easy weeknight idea that I needed to recreate it here. Happy cooking! Sauté the diced onion and sweet potato with some olive oil, salt and pepper for about 10 minutes over med/low heat, until the potatoes are soft when poked with a fork. For the last minute, add the lentils, just to warm them. Spoon the mixture into warm tortillas (I use tongs and heat mine over an open stovetop flame). Top each taco with a pinch of arugula, a slice of avocado, a bit of hot sauce and a pinch of flaky salt. I sautéed the sweet potatoes and onion in my favorite skillet for 10 min, then added lentils to warm them. 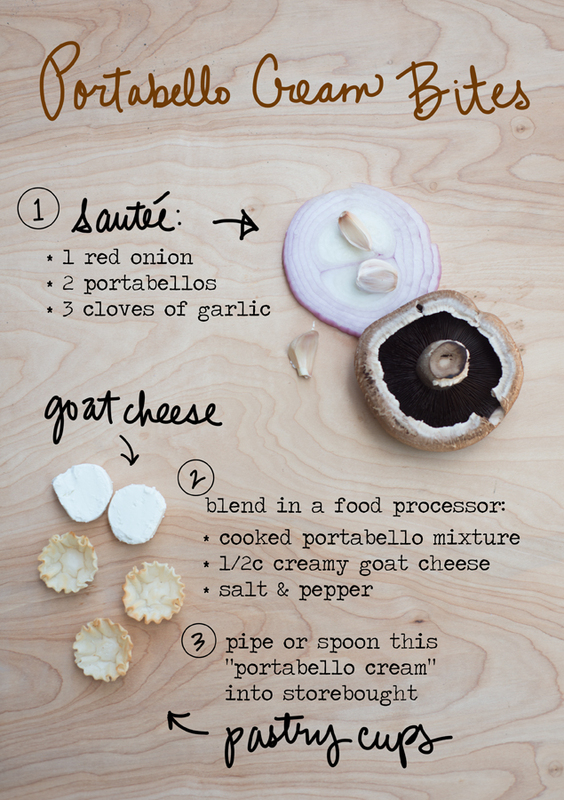 Portabello Cream Bites with goat cheese and garlic, yum! Jonathan and I recently made these for a cocktail party and they were a hit. We found pre-made pastry cups that we filled, but you could also put this cheesy, creamy mushroom mixture on crackers or crostini. I spooned the mixture in to a freezer ziplock bag, snipped the corner and piped it in. They are easy to make ahead and can be served at room temperature. Garnish with scallions and enjoy with a cocktail! Happy Valentines Day! Hope you have a sweet one. Citrus is in season, so why not add a bit of it to cocktail hour?! 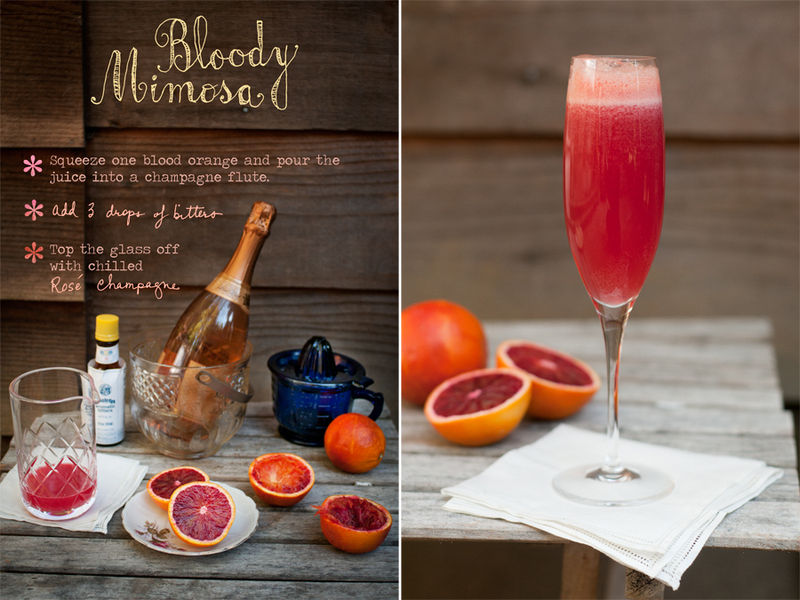 This drink lies somewhere between a blood orange champagne cocktail and a mimosa and using rose brut gives it the most dreamy color. Perfect at brunch or anytime! It is the Jewish holiday of Tu B'shvat today, the New Year of the Trees! Those who celebrate it have a meal this evening with 15 different types of fruits and nuts, drink 4 cups of wine and plant a tree together. Lovely idea, isn’t it? In modern times, many Jews have connected Tu B’Shvat with ideas of environmental awareness and sustainability.